Narcissists are those who greatly admire their own abilities and while this may seem like an attribute that would help in business, the need for constant gratification can quickly mean the demise of any success your business has already seen. 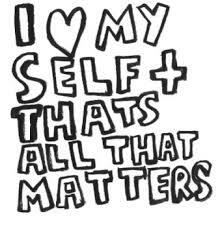 Believing in yourself is one thing but when your ego takes over and you have an inflated sense of self-importance, you can also miss opportunities for advancement. Is narcissism becoming more common? It certainly seems that way. As a state of mind, appearances seem to be everything to more and more of our customers and at the same time, it’s also becoming more common among business owners. Ask yourself, when your business runs into difficulties, are you open to discussing it with someone else or taking an honest look at what went wrong or do you tend to blame something or someone else for your problems? Are you interested in the business community in your area or is it all about you and your business? If either of these questions shows that others hold no interest for you, then there is a good possibility that you tend to be narcissistic. Realizing your temperament tends toward narcissism is the first step toward changing it. Looking at yourself in a mature manner shows you that narcissism has no place in your business. What you appear to be is not necessarily what you are and to be successful as a business owner, your customers want to know that what they see is what they get. Turning your narcissism into pride in your work is a big help toward ridding yourself of an unwanted personality trait. Of course you should be proud of what you do and you can show it in your marketing and advertising. Taking it a step further, ask your customers what they don’t like about your current offers and what they would like to see available in the future. Those two steps alone will take your mind off yourself and onto something productive. Rather than believing that you will automatically attain success and that you deserve it, take the steps that need t be taken to ensure your business is headed up, not down. While a need for attention is strong in narcissists, there is no reason why that attention has to come from outside yourself. Put some effort into learning something or developing a new product that you would praise if it came from another. There is nothing wrong with thinking the best of yourself. It’s when it gets in the way of thinking about others that it causes a problem. Your business is based on what others think. Taking advantage of your customers for your own personal gain will cause you to lose your business. Learn more about empathy and find out how your caring about others, through your business, can actually help you feel better. How do you Feel About Integrity? 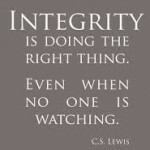 Posted by: admin | Comments Comments Off on How do you Feel About Integrity? Is your integrity important to you and how do you feel about the integrity of your business? Though you may not put a lot of thought into your own integrity, when it comes to your business, you can be sure that your customers are thinking about it. They want to know if you mean what you say and if you back up the quality of what you are providing to them. A business relationship is or should be built on trust and if you are at all concerned with the reputation of your company then acting with integrity will always help your business to succeed, no matter what type of business it is. Integrity is a personality trait, one that begins to develop from a very young age and eventually becomes part of your character. Can it be learned? 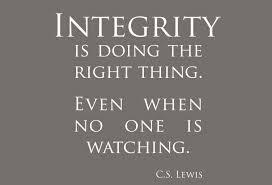 Since integrity is measured in different ways and looked at differently in other cultures, it can’t be taught to you. You have a certain level or standard of integrity which can be changed so that it is more consistent but you can’t grow it or improve upon it in any other way. Improving your business integrity will mean taking a long look at your behaviour, breaking habit and reinforcing others which will help your business. The intent to change has to be there. Honesty, one of the most important facets of integrity, will be necessary in all of your business communications including promises to your customers. Your own code of ethics tells you a lot about your own integrity and how you apply it to your business. While your ethics may have you follow rules, your integrity means you will always do the right thing, regardless of what those rules are. While not everyone will agree that certain people, including themselves, are ethical, they can usually agree on who has integrity and who doesn’t. Looking at your business this way, from an outsider’s point of view, will often tell you whether or not you find integrity important. Comments Comments Off on How do you Feel About Integrity? Late at night, a single light glows from a window down the street. With the rest of the neighbourhood in darkness, it shines like a beacon to those passing by. On the other side of the tightly drawn curtains, a weary business owner once again goes over their plans for the next month, wondering if they are making the right choices. They’d like to talk to someone about their business, but at this hour, others are sleeping in preparation for the next day at their jobs and even if they weren’t, they most likely wouldn’t understand the worries of an entrepreneur anyway. 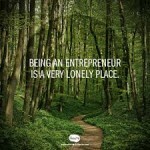 The life of an entrepreneur can be very lonely. Their hours tend to be different than those of their friends and family. Most of the time they work alone and their chances for human contact during those hours can be minimal. Though others believe we are so driven and busy that we don’t have time for them or even think of them, the exact opposite is true. 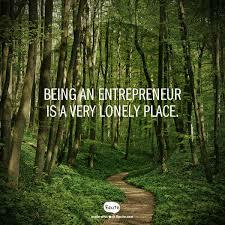 Most entrepreneurs have learned that there is a huge difference between being alone and being lonely. They find that they do their best and most creative work when they’re by themselves, without interruptions. They’ve learned that being disconnected from others can sometimes be a blessing in disguise and have learned to appreciate the choices that working alone and on their own, can provide. For those that absolutely can’t put up with being alone, there are other choices. If you can, work outside of your home part of the time, at a coffee shop or other area that provides an internet connection. Your balcony or patio are both good areas to work during the summer. Stay in touch with others through chat or social media. Get outside for a walk every few hours, weather permitting. Even having background music playing or talk radio can be a help. Don’t let the fact that you are working alone build into anxiety or too much stress. Learn to take advantage of all that working on your own can give you – unlimited choices, growth at your own rate, originality. Lack of distraction is not just a want for entrepreneurs, it’s a need. Sometimes we do our best work late at night, when we are comfortable in our own homes and the rest of the city is asleep. 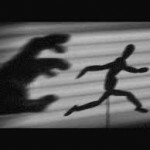 What Scares You About Your Business? 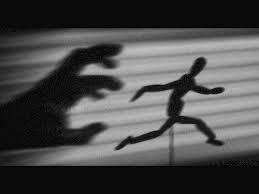 Posted by: admin | Comments Comments Off on What Scares You About Your Business? All business owners start their business with a mixture of excitement and fear. Their largest fear? Just like an addict who is trying to get clean, it is of failure. Whether they will admit it or not, the thought of losing their business, especially due to their own mismanagement, is enough to paralyze them. Confronting your fears by meeting them head on is the only way you can get past that initial starting point and build a successful business and the most important way to do this is through planning. Acknowledge your fears, rather than pretending they aren’t there. Running a business is serious. It’s difficult and it’s a lot of work. Thinking otherwise is a recipe for disaster. Just like a job or profession, don’t allow your business to be your whole identity. While it’s ok to identify with what you do, what you do is not who you are. It’s a part of what makes up a whole and the sooner you learn this, the sooner you will be able to focus on the parts of your business that scare you the most. Has competition always frightened you? Though most of us know people who thrive on it, the majority of us steer away from competition as much as possible. Yes, you are competing with other businesses for customers but more importantly, you are doing the best you can to make your business the best it can be. Concentrate on competing with yourself. Don’t let your business take over your live. All of us need an outlet and you need to find one that helps you clear your head and separate you from your work. While this is especially difficult for those of us who work from a home office, it is even more important that we find a way to look after ourselves first and then take care of our business. Having emergency plans in place if the worst should happen will help you overcome your greatest fear and means that you will worry less as your business grows. Invest in yourself and your business, rid yourself of the bad habit of worrying and use your time in a more productive way. Rather than letting fear take over, think to yourself, what one little thing can I do right now, to feel better about this – instantly, you have lessened the impact of whatever scares you. Comments Comments Off on What Scares You About Your Business? Does Your Business Know That It’s Autumn? Posted by: admin | Comments Comments Off on Does Your Business Know That It’s Autumn? Where did it go? Summer has passed in a flash and most of us are scurrying to get ready for fall when we haven’t even adjusted to the warmer temperatures yet. You, as a small business owner, feel it and your customers feel it too. Remember, the weather will not be summer like for long. Running your business from home requires that you have access to everything that a brick and mortar business has and if you live in a part of the country where it storms or snows often, you have to ensure that the weather won’t affect your ability to run your business successfully. How would you, personally, as well as your business, fare, during a loss of power or a shutdown of certain streets or neighbourhoods in your city? September is the best time to make your list of absolute necessities and make sure they are in place well before the weather turns. This is also the best time of year to review your insurance coverage. Find out if your policy covers your needs adequately. Other than emergencies, what else should you be thinking about in order to prepare your business for the fall and winter? After September and before May, there are at least five holidays that your business should be planning for. Now is the time to look at offers for your best customers as well as new marketing plans to draw in new customers. Recessions aside, there will always be services and products that your customers need. Put your best efforts into drawing attention to those. When it comes to new products, think of what your business can provide that will interest hobby enthusiasts. Hobbies and crafts are of huge interest now and almost any business can come up with something that will interest those who love the indoors or the outdoors over the next six or seven months. Autumn means a fresh start for many businesses, more so than the beginning of the new year and spring. It harks back to the days when we all started school with fresh notebooks and new clothes. Going over your business in the fall and preparing for the months ahead is an annual task that small business owners should do and get out of the way so they have the time to enjoy their winter months and not have to worry about finances, the state of their business and organization at a time when they have so much else to do. Preparing ahead of time for the busy periods and the slower ones will ensure that your business maintains its success. Comments Comments Off on Does Your Business Know That It’s Autumn?